Do you find it hard to count all your toys or the books at the school library? Have you heard mom saying she cannot count her shoes, or dad – his tools? In general, do you have a hard time counting many items at once? There is no surprise! Most people have this problem. What if the items were arranged in smaller groups? Would that help? 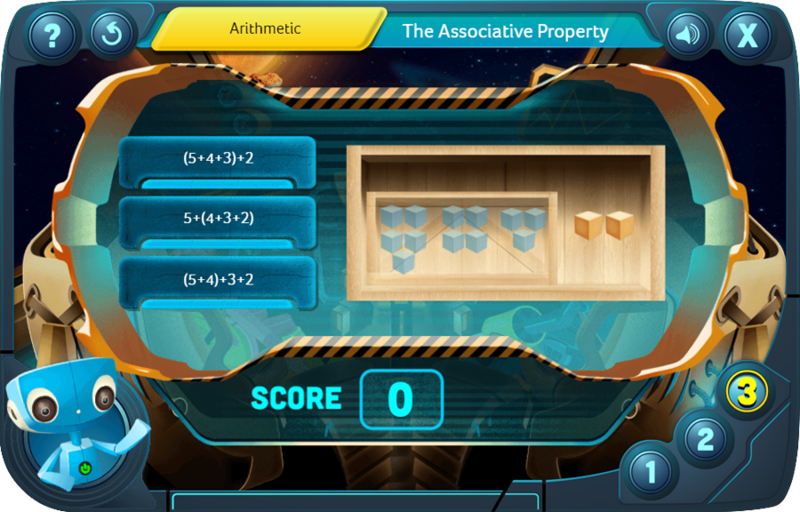 The eLearning game called The Associative Property can help you! 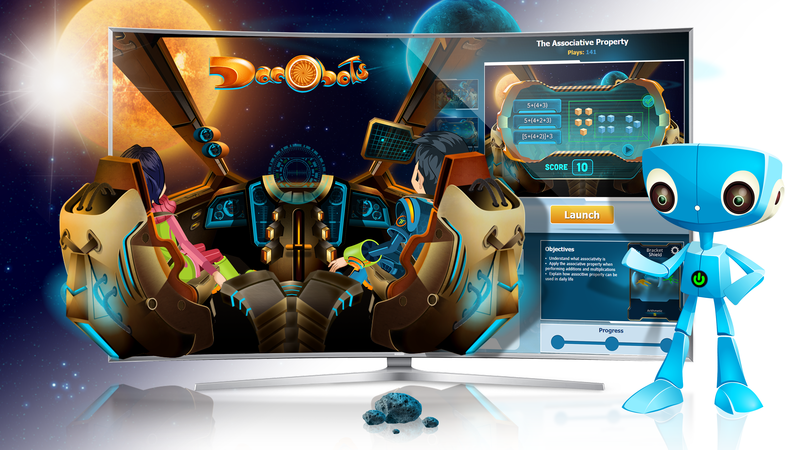 You can find it on the Dacobots educational portal. Suppose several spaceships are flying together towards the Blue Moon, where a treasure box is hidden. You cannot count them all because there are too many of them. But, let’s see what happens when they rearrange and form small groups of 3 or 4. See if you can count them now! First, you count the number of items in each group; next, you count how many groups there are. OR, you can count how many groups are formed, and then how many spaceships are in each group. No matter what you count first, the number of items is the same; just their grouping is different. This is a mathematical property called the Associative Law. In the next section of the game, you will see a larger number of spaceships. No problem! 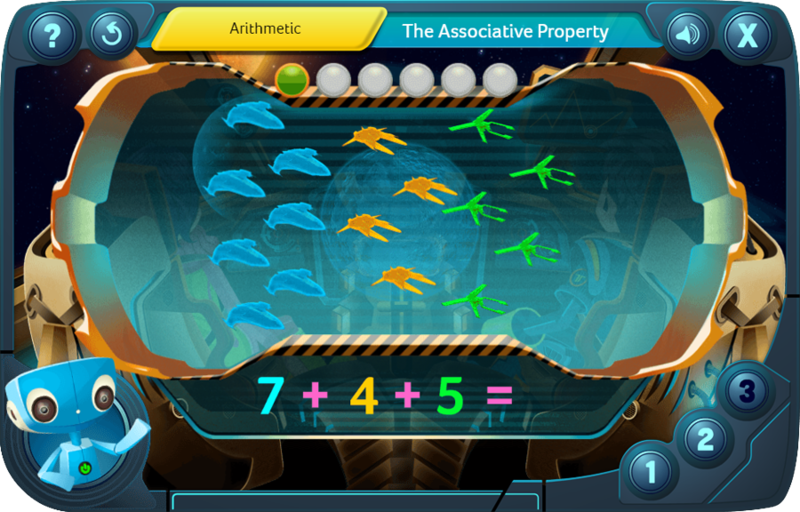 Using the associative property, you can swiftly and efficiently practice with counting not only spaceships, but also anything else. In the next section, it turns out that the treasure box on the Blue Moon contains several smaller boxes inside. 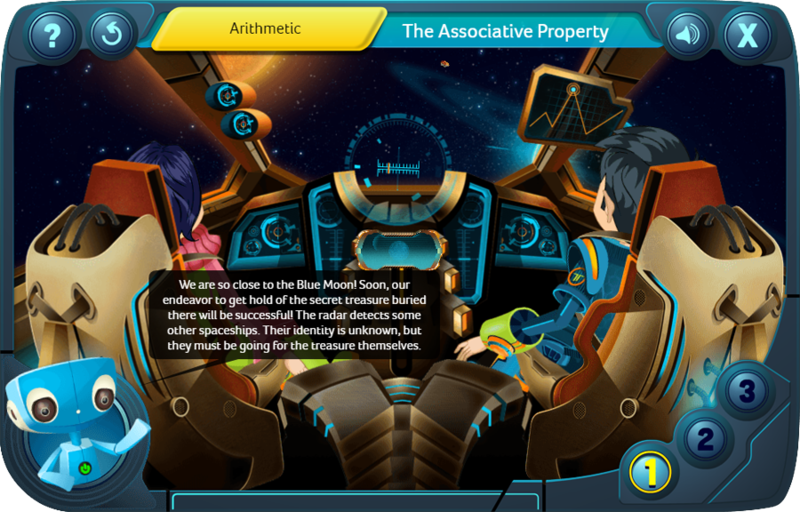 So, you can test yourself on associative property and go treasure hunting at the same time.